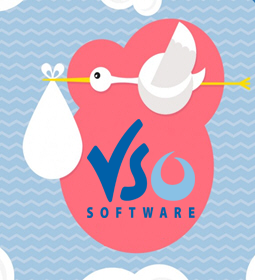 Over the last few weeks, VSO has been busy not only birthing 5 new major versions of our video converters but real babies too! The Team is now back on its feet, so stay tuned: more to come soon! Wow, we can't believe it's been 5 years since our first newsletter! We'd love to get your feedback: please answer our quick survey and enter our draw to win one of five Goldmember license! Answer our survey and enter the draw to become a Goldmember! Every month, we inform you and give you tips about video conversion and help you achieve unique video projects! Are you looking for gift ideas for your mother (or any special lady)? If she likes movies and TV shows, then look no further! A big Thank You to our users for their amazing feedback (read some below). If you want to let us know what you think of our programs, please use our user review tool. "Very user friendly,easy to use and provides excellent options and fantastic results." "I like your software. It's intuitive and very efficient." "Fantastic software for novice & expert alike"
"A program that deliver's 100% of what it promises"
"Best program, I have tried them all"
"I've not found anything as good or better"
"I've had this software for over a year now and never had a single fault"
VSO Software is a a multimedia software editor recognized worldwide. We are dedicated to producing high quality software with easy to use programs for users of all levels, including advanced featured for pro users. Take advantage of our free and full 7 day trial on all our video converters and discover our VSO Downloader to download streaming videos and audios instantly from the internet!